Historically meditation was only used in the East, but over the last century it has been embraced by the West. Shamans practiced mind consciousness which allowed them to enter into an altered state of awareness, they felt wisdom could be gained from deep meditation and they believed they journeyed to the spirit world. Shamans often meditated to bring about an altered state of awareness before any hands on healing was conducted. Many of them used a mantra to aid concentration, a mantra was thought to protect the mind, a mantra in essence is a sound repeated, a word such as Om is spoken over and over until the sound resonates all around. The mantra helps to stabilise the mind and can actually be a precursor to meditation or be used while you sit, as a meditation. You close your eyes, regulate your breathing and repeat the word over and over, I mention Om because it is used universally. The important part of meditation is to do it regularly, allow yourself at least fifteen minutes a day everyday and you will be pleasantly surprised how easily you slip into meditation mode after only two weeks practice. With the pace of life these days no one has enough time and so many people seem utterly frazzled, how many people have you heard complain there are not enough hours in the day? Many years ago I was one of these people, until I learned how to meditate and surprisingly found that through meditation and the stillness that goes with it, I actually found my head was clearer and I managed my time more effectively. Modern day meditation is less complex, and needs to be as we are such a time poor society, you can find a meditation style that is tailor made for your life. Meditation is a mental discipline that takes you away from the day to day trammels of life, and help you relax and become more attuned and spiritually aware. You learn how to enter a Zen like state, it is something that the layman can practice, unlike years ago when it was only practiced by Buddhists, nuns and mystics. Meditation is all about being present, centered and becoming more aware, you become absorbed in your senses. Meditation teaches you to be aware of every experience, as though you are awakening every fiber of your being and it helps you to be accepting of all your qualities, the good and the not so good. The ritual of meditation can become the norm in your life if you practice regularly, it is a healthy habit to introduce to your everyday life. Meditation helps you to become aware of things you aren’t normally aware of, it is a gentle practice that permeates every vestige of your being. It isn’t enough to rest the body for health and wellbeing, it is necessary to rest the mind and this can be done on a daily basis through meditation, you will be surprised at how much better you feel after just fifteen minutes of meditation a day, as it helps to reduce stress, and helps the energy of the whole being. 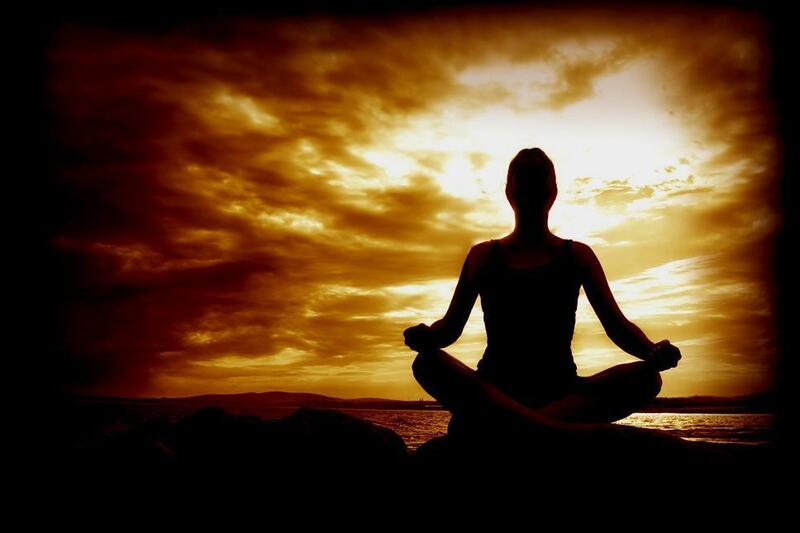 Meditation practiced regularly can reduce stress levels, lower blood pressure and cholesterol levels. As little as fifteen minutes for inner peace and health benefits is worth the effort, and after a time it will not be an effort, it will be a joy that you look forward to. There is something empowering about having a specific time in your busy schedule where you can sit quietly and allow your mind to relax. Negative thinking can be turned around, and if you are a pessimist meditation will help you to become more optimistic. You will find that you have more patience with your friends, family, and co-workers or business partners. The Buddhists are the most tranquil beings you could wish to meet and meditation is a part of their everyday life. Try this simple meditation, you first find a quiet place to sit where you will be undisturbed, make sure you are comfortable, you may sit cross-legged if you choose, or sit on a seat or the floor, it doesn’t matter as long as you are comfortable. When you are completely comfortable and still, close your eyes and concentrate only on your breathing in and out, take deep relaxing breaths then exhale slowly and deeply. Focus only on your breathing, in and out, it may take the mind a few minutes to settle down and for the thoughts to calm. What you are attempting to do is to rid your mind of the clutter that is carried each day, you are letting your mind rest for a period of time. As the different thoughts are turning over in your mind try to resist thinking consciously of them, stay focused on your breath, keep breathing this way until you feel completely relaxed and all you are thinking about is your breathing, you will feel the tension leaving your body. Once you feel utterly relaxed and your breathing has become rhythmic, imagine a huge fluffy cloud gently carried by the breeze coming towards you, then imagine yourself climbing onto the cloud and lying down, feel the sensation of the cloud as it carries you high above the earth into a place of total tranquility and quiet, with no noise to disturb you. Think of nothing except the cloud, the gentle breeze and your breathing, you will start to feel a wonderful warm tingling sensation spreading through your body as you recline on your cloud. Try to do this for fifteen minutes, thinking of nothing except how comfortable your cloud is and how serene you feel. By meditating, a sense of inner peace and harmony is felt and you feel better mentally and physically as you allow your mind some respite from the constant chatter. When you have remained in your place of calm for fifteen minutes you then imagine the cloud descending gently, see and feel yourself step off feeling refreshed and relaxed, next bring yourself out of the meditation by counting from ten down to one, when you reach one open your eyes flex and relax your fingers and toes two or three times, stretch like a cat, then sit for a few minutes enjoying the tranquility you will feel. When you count down from ten to one, you can also clap your hands or ring a bell to signify the end of your meditation. This simple meditation can be extremely powerful, especially if you practice it on a regular basis knowing that anytime you wish you can be still and float away on your cloud for a period of time. Every time you do this cloud meditation it will be easier, and you will find you go more deeply into a meditative state, as you become more adept try to extend your meditation time to twenty minutes or half an hour. By allowing your mind to be free of the turbulence of thoughts you will find your day to day life will become more manageable and you will look forward to your meditation time, the feeling of calm and wellbeing that you experience will spill over to all areas of your life, relieving the stress and tension that you carry. Stress and tension comes from the mind that is not allowed to rest, people become ill because they allow a jumble of thoughts to constantly invade the mind and meditation helps remove this stress. Your cloud is there always whenever you need it, by meditating you will find the you are more in touch with the inner you, the higher self, your interaction with others both professionally and personally will also improve. Find a quiet space where you can sit undisturbed for at least fifteen minutes, make yourself comfortable, close your eyes and begin to concentrate on your breathing in the way you do when practicing the cloud meditation. Let yourself relax and feel your breathing become rhythmic. Imagine you are walking slowly along a corridor with silver floors and walls, you will find yourself becoming more relaxed with each step you take, you see a beautiful ornately carved door at the end of the corridor, you walk towards the door and place your hand on the handle, turn it and open the door. You step into a room that feels wonderful, the room has white walls and no furniture, you then furnish the room with your imagination, you can place a huge bed with fluffy pillows and sumptuous covers, you can have a window with a glorious view of a lake, you may wish to place candles, incense, statutes and flowers, whatever you want you can put into this room, and when it is as you would like it to be, you absorb the beauty the serenity and the calm, take yourself to the bed and lie down, sit on one of the comfortable chairs you have placed there, stay in this room for at least fifteen minutes, thirty minutes if you are able. After you have spent fifteen minutes or half an hour in your sacred room, get up and walk towards the door and walk back along the corridor slowly, as you walk you will begin to come out of your meditation, begin to count down from ten to one then open your eyes. Now you have your sacred room you can go there and meditate whenever you wish, it will be there for you whenever you need a place to rest and clear your head. This is your place of serenity, balance and harmony, a place where you can remain undisturbed to rest body and mind. This meditation is particularly powerful and with practice you will find a sense of solace and serenity each time you enter your sacred room. Go to your safe comfortable meditation place and adopt the breathing technique that you have learned, when your breathing is rhythmic and you are totally relaxed, imagine you are in an enchanted forest, there are fairies, wood nymphs, elves, pixies and many other nature spirits. Feel the grass under your feet, smell the flowers that are dotted everywhere, drink in the beauty of the environment. You see a wise teacher walking towards you ( your teacher can take on any guise you envisage), when you are face to face with your teacher you will feel a sense of utter serenity and safety, the teacher holds out both hands and takes your hands, the teacher’s eyes are full of love you feel this wash over you, it feels wonderful, you are bathing in universal love. You are permitted to ask your teacher one question which will be answered, once you have your answer thank your teacher, say goodbye and find a spot to sit and be, allow yourself to rest and meditate. Listen to the sounds of the enchanted forest, the scent of the flowers wafts and you absorb it happily. You have an overwhelming sense of wellbeing, you are imbued with universal love, stay here and allow yourself to be, and when you are ready stand up, look around, take in the beauty of your surroundings and commit to going back to the enchanted forest often. Count down from ten to one and come out of your meditation, you will find you are clear headed and relaxed. Each time you go to the enchanted forest, your teacher will appear and you are permitted to ask one question. This is a particularly good meditation if you have a busy schedule ahead of you and you need to be energized, alternatively it is the perfect one after you have been very busy, as it helps you to wind down. Sit down in the most comfortable place you can find, where you will be able to remain undisturbed for at least fifteen minutes. Relax, close your eyes and focus on your breathing, when it becomes rhythmic you can begin your flying meditation. Imagine yourself as light as a feather, with the ability to lift off the ground and soar across the blue sky. With each breath you take you lift higher off the ground, sense the weightlessness and the freedom your body feels as you rise up to, and fly through the soft gentle clouds, look at the blue sky, see the clouds dotted here and there, you feel weightless and serene, you have the power of the eagle and the peace of the Buddha. Allow yourself to soar across the sky, feel the ease of flight as though you have invisible wings, when you fly across water let yourself swoop down and touch the water, then rise again up to the sky, sense the elation as you fly and swoop, embrace the freedom you have. You can fly to anywhere you want to go in the world, it is as though time is standing still as you glide across the sky, enjoy this freedom and when you are ready bring yourself back down to earth and feel your feet touch gracefully down onto the ground. Take five deep breaths in and out then count down from ten and come out of your meditation. This is a potent meditation to use when you are feeling sluggish or bogged down with work and stress, it helps you to lighten your load instantly and the feeling of weightlessness stays with you for hours. Sit comfortably with your back straight and your feet planted firmly on the ground, make sure you are in a quiet place, place your hands on your lap palms up, find a point in the room and focus on it, do this without turning your head, look straight ahead for approximately three minutes, then allow your eyes to close. Begin your breathing techniques, deep breaths in and exhale fully, let your breathing become rhythmic. Become conscious of your facial muscles and allow yourself to relax the muscles, move down to your shoulders and feel the tension leaving them, become conscious of your chest rising and falling, feel your stomach muscles relax, feel your hips relax, feel your thighs relax, feel your calves relax, feel your ankles relax, feel your feet relax, wiggle your toes and feel them relax, feel your fingers and your fingertips, wiggle your fingers and feel them relax. Now sit with your eyes closed and think of nothing but being present, focus on your breathing and within a short time your breathing will be an unconscious action and you will be in a state of utter peace, where you can remain for fifteen or thirty minutes, if you are able. When you have finished meditating, bring your consciousness back to your breathing and count down from ten to one, when you reach one, open your eyes and stretch your body, wiggle your fingers and toes, then sit and enjoy the blissful feeling of tranquility. If you do no other meditation than the simple breathing one, you will still feel the mental, physical, emotional and spiritual benefits, try to keep a regular mediation routine for the most beneficial results.